Ode to Life by Li Jin, 2017. Picture courtesy of Christie's. A week into the lunar new year and you might begin to imagine that the only colours in the Malaysian spectrum are red and orange, with a liberal sprinkling of gold. This is not a true reflection of the many millennia that China has been creating art. Among the arbiters of taste back in the mists of time, the colour palette was, in many ways, misty. Most of all, there were the paintings of swirling, low-level clouds surrounding mountains that look a lot like the surroundings of Ipoh and certainly attracted Chinese visitors. These paintings were generally monochromatic. Colour tended to be reserved for the simple folk who were perceived as being unable to understand the subtlety of line and wash. A similar phenomenon struck China in the late 20th century. Art became shocking, colour-saturated and looked like propaganda works but weren’t. These were parodies for a generation that had got very rich extremely fast. As China’s boom takes a backseat, the demand at home is for something more restrained and less visible to anti-corruption investigators. When consumption is no longer allowed to be conspicuous, what could be less showy and more aligned to traditional values than ink paintings? Hard work, simple materials, honest scholarship: it’s 5,000 years of heritage in one unobtrusive package. Even the Great Helmsman was accomplished with brush and ink, although he kept quiet about it during the Cultural Revolution. 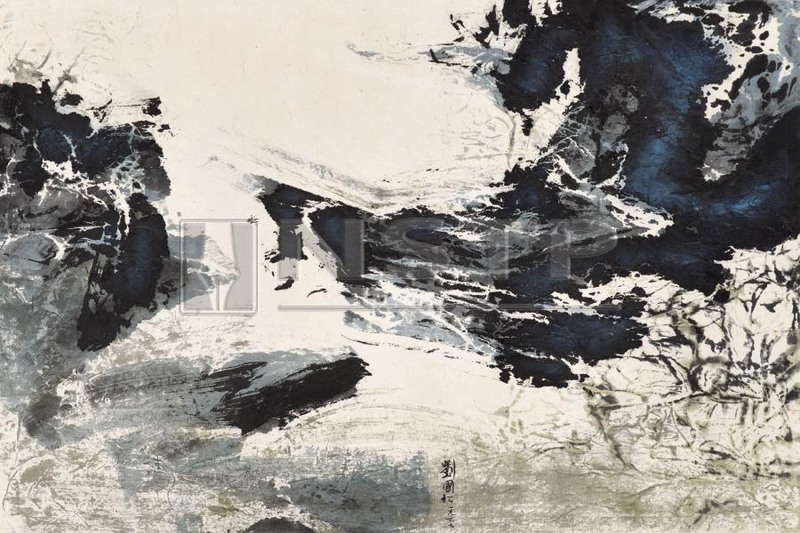 Chinese contemporary ink paintings have been creeping up on the market for some time. 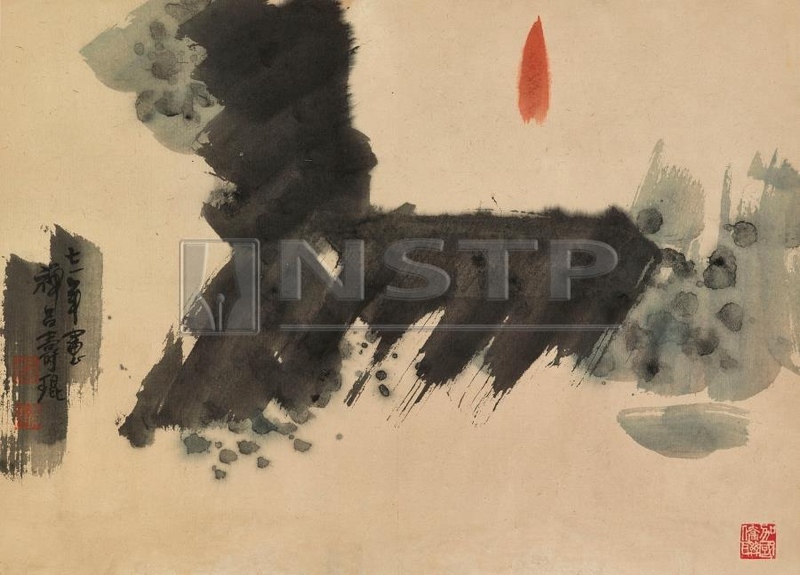 The major auction houses, both Western and Chinese, have realised this, and being the drivers of taste that they have become, they have created dedicated sales for Chinese contemporary ink paintings. Contemporary ink is different enough from its traditional forebears to be cutting edge without any actual self-harm. Those artists who made such an impression in the early 21st century were often handy with knives and razors. There’s social comment with the New Ink, which has all the ingredients of the truly current, but presented with subtlety, polish and above all, quality that can be understood. We can talk about brushwork again. Collectors do, of course, like to have some validation of their good taste. This has now been provided by a diversity of sources. Starting with the Saatchi Gallery, the very institution that put dead sharks and sheep on the menu of global art consumption, 2012 was the year of the Chinese ink renaissance. The British Museum added its stamp of approval and then the Met in New York. Landscape 5 (Memories) by Liu Guosong, 1967. Sold by Christie’s Hong Kong from a Malaysian collection. So, which artists’ names are in the vanguard? Revolutionary though this may seem, it is actually the older contemporary artists who get the most attention. Many of them are already dead, so the contemporary tag is misleading. Liu Guosong (born 1932) is still alive and given the accolade ‘father of modern Chinese ink painting’ so often, it must feel like an obituary for the Taiwanese artist. Twenty years ago his works usually sold for RM15000 to 30,000. Now they are mostly fetching 10 times that and often much more. Unlikely to be surpassed either in terms of price or size is the RM30 million paid for the 13-metre-long scroll Scenery of Hong Kong. Zen by Lui Shoukun, 1971. Picture courtesy of Christie's. Hong Kong does not get left out of this game. One of the leading artists is from there. Although Lui Shoukun (born 1919) died four decades ago, prices continue to rise for the great Zen painter, but they have always been quite high due to his special niche in a land with a lot of money chasing very few artists. Scholar’s Rock - Grotto Heaven by Liu Dan, 2016. Picture courtesy of Christie's. More spectacular recent growth can be seen in a master with an experimental reputation. Liu Dan’s passion for old rocks may seem antiquated, but the effect is mesmerising. It has to be said, though, that many of Liu’s and other contemporary ink artists’ works fail to sell at auction. In Liu Dan’s case this included a painting with an estimate above RM5 million. This was in New York, which like London is a location where the many non-Chinese collectors of contemporary ink bid unpredictably. Banquet by Li Jin. Picture courtesy of Christie's. The volume of works for sale can also be off-putting, especially when accompanied by inadequate vetting. Li Jin is a personal favourite of mine. 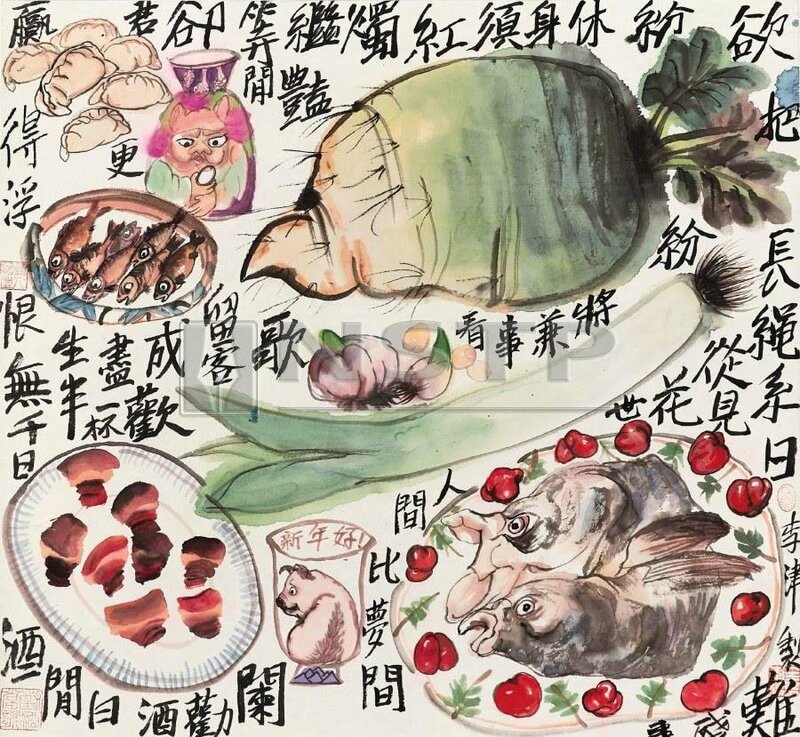 The market for a lesser artist could have been killed by the number of works auctioned recently, and yet Li Jin bounces along with high prices and humorous slices of life. Food and women are his preferred subject matter - and often together. Being a sensualist, he enjoys colour more than most. Kelong Scene by Cheong Soo Pieng, 1961. Picture courtesy of Christie’s. This is a field that has not been left out of the Malaysian art scene either, although prices tend to be lower here. The favourites of the local auction houses tend to be Indonesian or Singapore artists such as Lee Man Fong and Cheong Soo Peng, who don’t entirely fit into the traditional Chinese ink mould and are definitely not contemporary. Nor has Southeast Asia got into the experimental ink that has become so popular in China. It’s rare to find almost everyone in the art world cheering on the same side. Either it is hype on a scale not seen since the last Chinese contemporary art bubble or we are witnessing a radical re-appraisal of Chinese contemporary art. Ink really does appear to be in tune with the times. Maybe the Beckhams will start buying it by mistake!